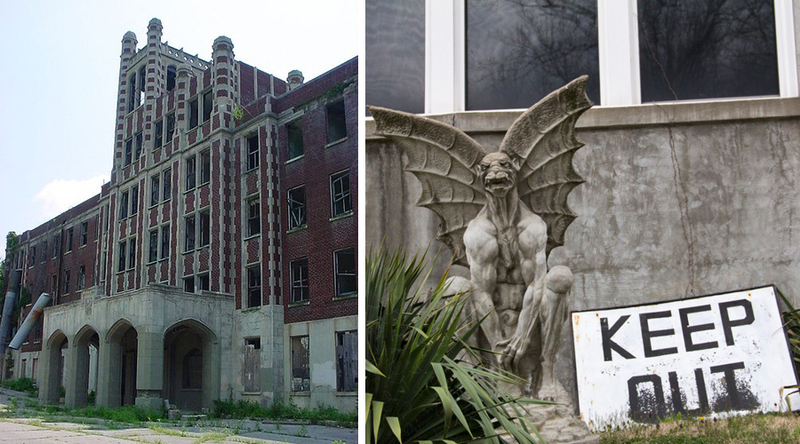 Built in 1910, the Waverly Hills Sanatorium was created to accommodate 40-50 tuberculosis patients. At the time, vaccines and antibiotics weren’t in use and long term care was required for those infected. Soon an outbreak of tuberculosis spread and the hospital had to expand. It was now able to house up to 400 patients, including children. Some of the patients would be there for months, even years until they either got better or died from the illness. 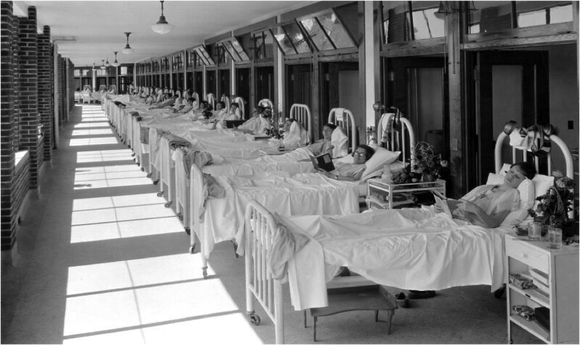 Waverly Hills was a forerunner in experimental surgeries for treating tuberculosis. These drastic surgeries include pneumonectomy (the surgical removal of sections of lung or even a whole lung) and thoracoplasty. Thoracoplasty is the surgical removal of several rib bones from the chest wall in order to collapse a lung. The average patient required the removal of 7-8 ribs. Most surgeons preferred to remove only 2-3 ribs at a time and thus patients had to endure several procedures before the entire thoracoplasty was finished. Rumors began to circulate of alarmingly high death rates at the hospital as well as patient mistreatment. One of the unproven stories is that 63,000 people died while staying at Waverly Hills Sanatorium. According to the assistant medical director, Dr. J. Frank W. Stewart, the highest death count was 152 in a single year. If this is true, then 63,000 is grossly exaggerated. The hospital was closed in 1961 after the development of antibiotic treatments for tuberculosis. However, you can visit Waverly Hills Sanatorium today. The current owners offer public tours and ghost hunts from March – August. Click HERE for more information. One of the most popular urban legends surrounding Waverly Hills Sanatorium takes place outside Room 502. According to legend, a nurse named Mary Hillenburg hung herself outside the room. She was driven to suicide once she found out she was pregnant out of wedlock. It was rumored that the father was a married doctor. Many mediums and psychics who have visited Waverly Hills Sanatorium claim to have made contact with Mary’s spirit. In one instance, the medium claims that Mary revealed to her that she didn’t kill herself, but that she was murdered by four men after a botched abortion. The door to room 502 and an interior shot. An autopsy table sits in the middle of the room. You can watch paranormal investigators allegedly contact a young spirit outside that room HERE. 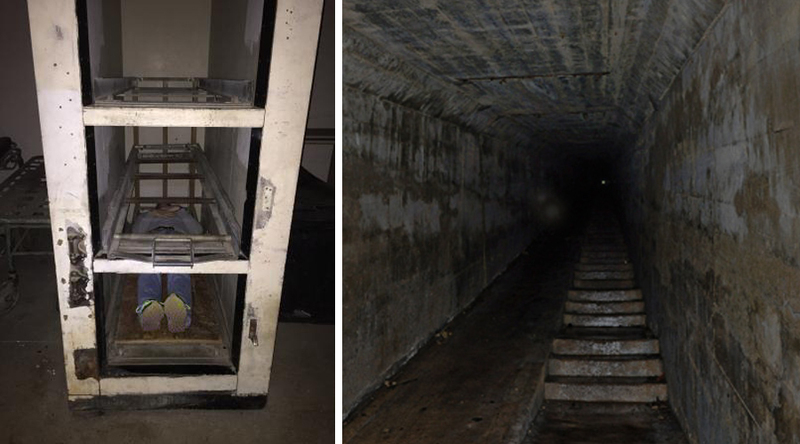 The “body chute” aka “the death tunnel” has also been a source of rumors and ghost stories. Historically, it was a chute with a pulley system used by hospital staff to transport supplies during the winter time. (L) A guest at the sanatorium tries out the body chute. (R) Photo looking down the body chute. Two orbs pictured as well. The chute gets its bad reputation from the fact that it was later used to transport bodies. Hospital staff believed it would lower morale amongst patients if they saw the deceased being wheeled away through the hallways, so the chute was used to discreetly remove the dead. Rumors began to fly that bodies were being dumped down the chute and piled up for removal. Many visitor report seeing apparitions and hearing voices in the chute. Unlike the white, transparent image of ghosts, a shadow person is a black silhouette shaped as a human. They are meant to represent a spirit or other entity. There have been numerous reports of shadow people by guests at Waverly Hills. These shadow people have been reported in the body chute as well as areas in and around Room 502. 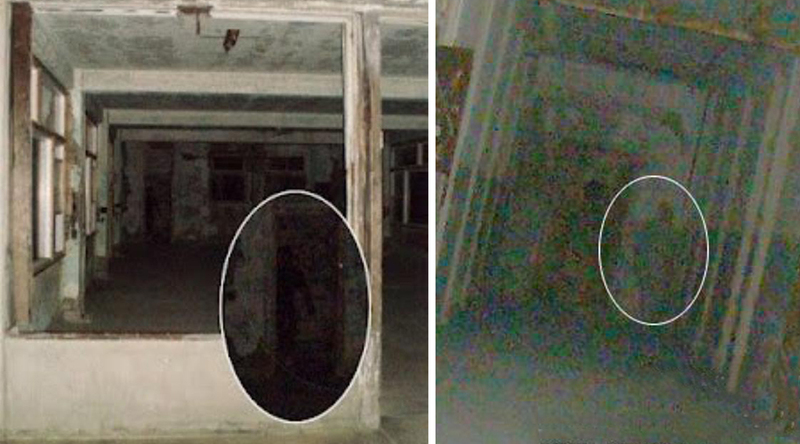 Alleged “shadow people” sightings at Waverly Hills. This YouTube account claims to have footage of a shadow person at Waverly Hills. Click HERE to watch. 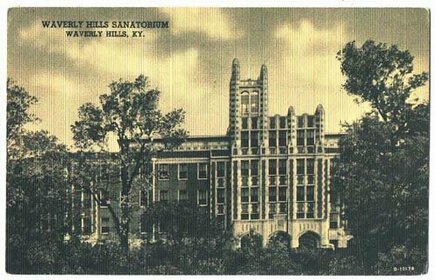 If you have been to Waverly Hills Sanatorium, please let us know about your experience on our Facebook page or via Twitter.